Did you know that unsustainable palm oil impacts chimpanzees? During the past 20 years global palm oil consumption has greatly increased. This surge in demand has driven the large-scale conversion of primary rainforest to monoculture oil palm plantations in south east Asia and, more recently, parts of central Africa. As a result, many environmental and social issues have arisen, including endangering native flora and fauna, displacing local peoples and increasing carbon emissions. Our vision is that 100% of all products in Australia and New Zealand are deforestation free. Using palm oil as a flagship crop we aim to halt and reverse deforestation globally, and encourage the restoration of forest cover at least to the levels seen in 2010, and protect the world’s last intact rainforests. Our full Joint Position Statement offers further information on our position including our support for responsible labelling. Raise public awareness about palm oil and the connections between consumer choices and deforestation. Promote the use of Certified Sustainable Palm Oil (CSPO) with grocery manufacturers, government agencies and the Australian community. Download our full Habitat Protection Education Kit for ideas on how you can help in your school, shops and community. Spread the word! Put up your own posters or download our Palm Oil Poster. Talk to friends, family and community members about sustainable palm oil. Many people are not aware of the detrimental effects the palm oil industry has on people and the environment. Start a palm oil and wrapper free school lunch box day at your school. Campaign for CSPO labelling! 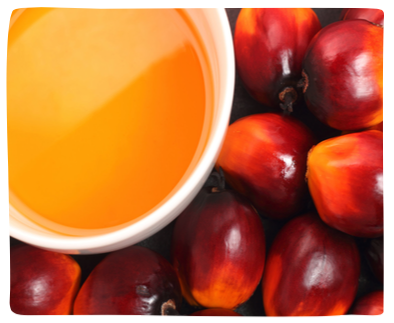 Write to manufacturers asking them to explicitly label palm oil and use CSPO. We can drive this change so that all consumers can make informed decisions on their purchases. Many companies have now committed to sourcing only sustainably sourced palm oil, with deadlines in place for when this is to occur. Write to some of the companies that produce your favourite products and ask them about their commitment to source only sustainable palm oil. If they have not yet made such a commitment, ask them why this is the case and advise them that you will favour companies that are ethical in their acquisition of palm oil. You can also facilitate your own (we can help!) Palm Oil Awareness workshop to engage and motivate your friends and family to use CSPO. You can also join the push to make the labelling of palm oil mandatory by writing to your State Minister to express your support for the change. Visit the Zoos Victoria Don't Palm Us Off website and select your State to send an email directly to the relevant people. You can use their email template or create your own message.